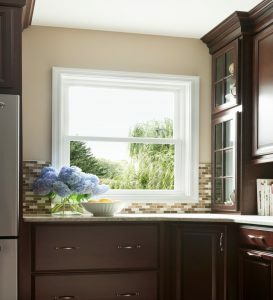 Our vinyl double pane single-hung replacement window offers features that combine functionality, durability, and energy efficiency. The top sash is stationary and does not open while bottom sash tilts in, details like a full-length lift rail and metal reinforcements at the meeting rail, resulting in a cost-conscious replacement window ideal for any renovation project. Custom made to your home’s exact specifications. At Best Buy Windows and Siding you pay for quality not a name! Contact us at 214-736-9971 We will work with you to deliver the savings and benefits you need.